Clarity and focus will help you keep productivity high in the midst of change. Empowered employees make a greater commitment to better business results. Organizations driven by concerted action produce results that sustain and improve profits. 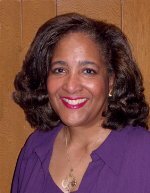 Patricia A. Parham, graduate of Smith College, earned her doctorate in Psychology from the University of Texas at Austin. She has conducted research and evaluated federal and foundation programs in areas such as education and labor. Combining her interests in management, group and organization development and technical assistance, she established a consulting practice, Parham Enterprises in 1987. Patricia has worked on behalf of persons with developmental disabilities and delays and taught, full-time at the Robert O. Anderson Schools of Management, University of New Mexico. Current interests include change management, cultural diversity and spirituality in the workplace. A member of the American Psychological Association, NTL Institute and the Organization Development Network, Dr. Parham earned a certification from the Gestalt Institute of Cleveland in Organization and Systems Development in 1999.